The first ever MPC in WATER FENG SHUI (25th till 30th June) was a full house with over 40 students coming from all over the world. 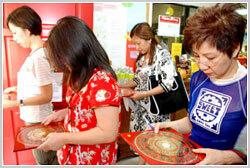 The students came from all backgrounds with varying experiences in Feng Shui. Some were prior students of Lillian who had attended the MPC, others came with a background in Feng Shui from reading her many books on the subject. 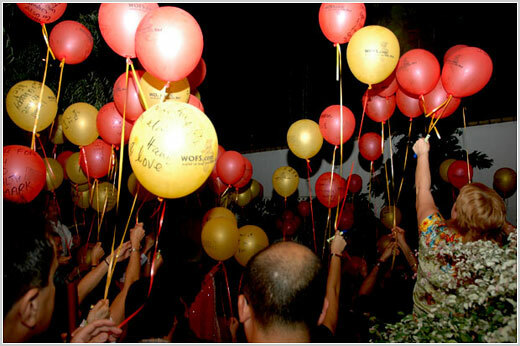 Many of the foreign students took the opportunity to bring their family with them, as 2007 is Visit Malaysia Year. What makes this course different from all other Feng Shui courses was its focus on how to create especially auspicious waterways and water features for the purpose of wealth accumulation. Graduates from this course walked away with advanced skills on why some houses brought plenty of wealth, where others took it away. 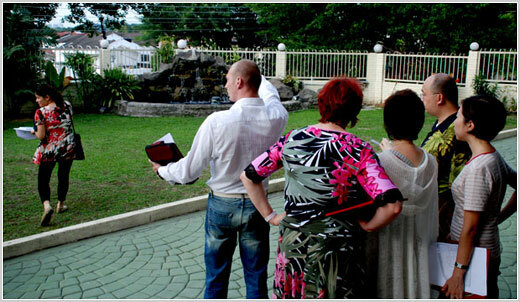 Feedback from students was very positive, with many planning to return to attend other advanced courses in Feng Shui. I enjoyed so much for Lillian's class and never disappointed. Her teaching is so easy to understand and lot of fun. She taught us many new things that I am unable to find it in her book, she said that this is the gift for your coming to Malaysia! I would like to thank Lillian for sharing with us not only your feng shui knowledge but kind heart too, wisdom of life; something that cannot be purchased. And from now on I will think big! Lillian's teaching is always so practical! Maria(from Valencia) and I saw "the water dragon" in Lillian's garden by chance.We felt harmonized chi from the stream, then I understand more what I learned in the class. 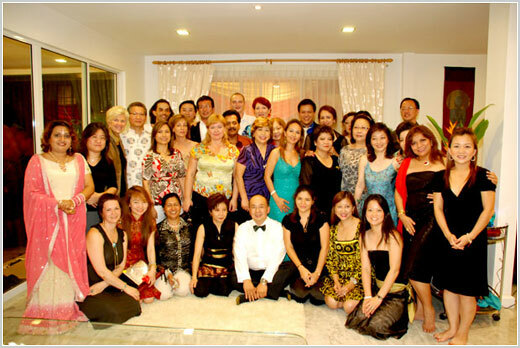 The water feng shui course is both enlightening and fun put together. I really learned a lot during the course. The new method that wasn't in the book was really a special treat to us. Not only that, this course have one of the most challenging case studies to date. For us old practitioners, it was really great that we get to apply everything that we've learned from MPC up to the Water class. The teaching method improved a lot. The input and output method was good! Lillian is generous imparting and explaining to us the different formulas. The LDC visit and gold leafing class was a great bonus and the food was very good! I can't wait what have Lillian have in store for us next. It was realy a wonderful class in Water Feng Shui! Now I know that Water can bring a lot of Joy into my life, if I use very carefully all water formulas. I with my family began to build a new house and this course appeared to a "golden pearl" for my family. Lillian shared with us all her knowledge how to be happy and abundant with Feng Shui, how to think big in our life. The classes were very easy to understand, all material was explained in simple words. Most of all I liked the day, when we practically used in the Buddist Center all received knowledge. I am very pleased and satisfided with this course! The water feng shui class was very interesting as expected. I know that I always enjoy everything I learn in her classes because she is a very good lecturer. There can be many masters out there but not all of them are good lecturers as well. She is so clear and precise in her explanations that there is no confusion. No matter how many years I have been dabbling in feng shui by self-study, I cannot understand everything until I attend a course. Some days we laugh so much and most days we eat too much! But I am very very happy that I came to this course as I met so many feng shui consultants who are much more experienced than me. As I listen to the discussions, I am actually picking-up ideas from their experience and examples. It was indeed very nice to meet you and other friends in wofs, and our Master Lilian Too and some of the old classmates from different parts of the world. We have had lots of fun and the Water Feng Shui class have taken us to a higher level in Feng Shui.